The Savoy Court Hotel in Eastbourne is a charming and friendly place to stay for that weekend getaway, a week by the sea and when you're in town for business. 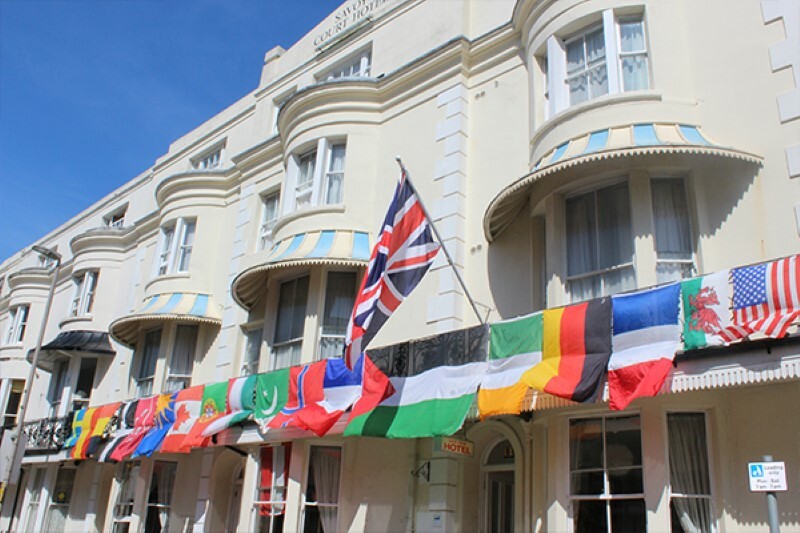 We are a Grade II historical, townhouse hotel prominently located 100 metres from Eastbourne's renowned seafront. With its world famous Carpet Gardens and Victorian pier only a few minutes walking distance from the hotel. You can stroll the lovely beach promenade, or explore exciting shops, restaurants, and theatres that regularly stage West End and major touring productions throughout the year. Our highest priority is the comfort of our guests. We live at the hotel, so you can be sure of our personal attention to your needs. Parking is not a problem either there is plenty of on street parking around the hotel at a cost of just £1.00 for each 24 hour period. Also a traditional seaside resort, boasting five miles of unspoilt beaches, palm tree lined promenades, four golf courses and Seaside Award clean sea. 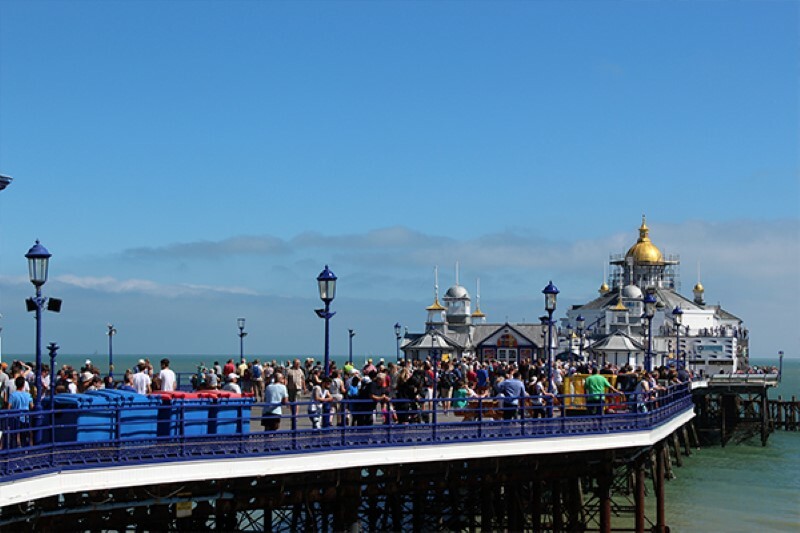 Offering fun for all of the family - from a skate festival to the annual airshow, visit Eastbourne Pier or dance the night away to live music at the bandstand. Get your skates on and join the locals in their favourite pastime of roller blading along the five mile stretch of promenade, from the peaceful Falling Sands to the bustling Sovereign Harbour Marina. Browse around the waterfront shops or relax in one of the continental style restaurants, cafes or bars at the harbour.